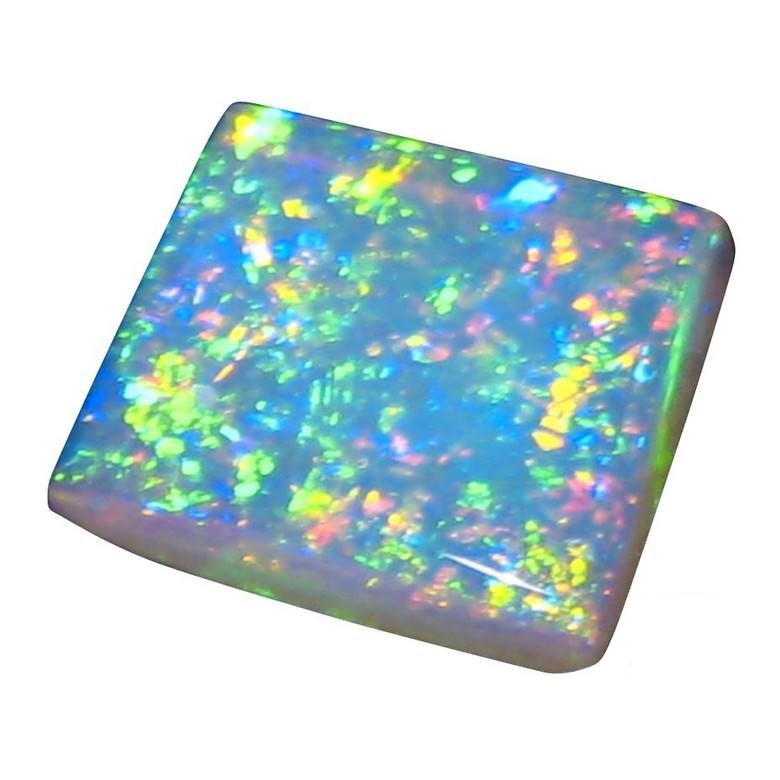 A very special Crystal Opal from Coober Pedy due to the extremely bright colors and shape. 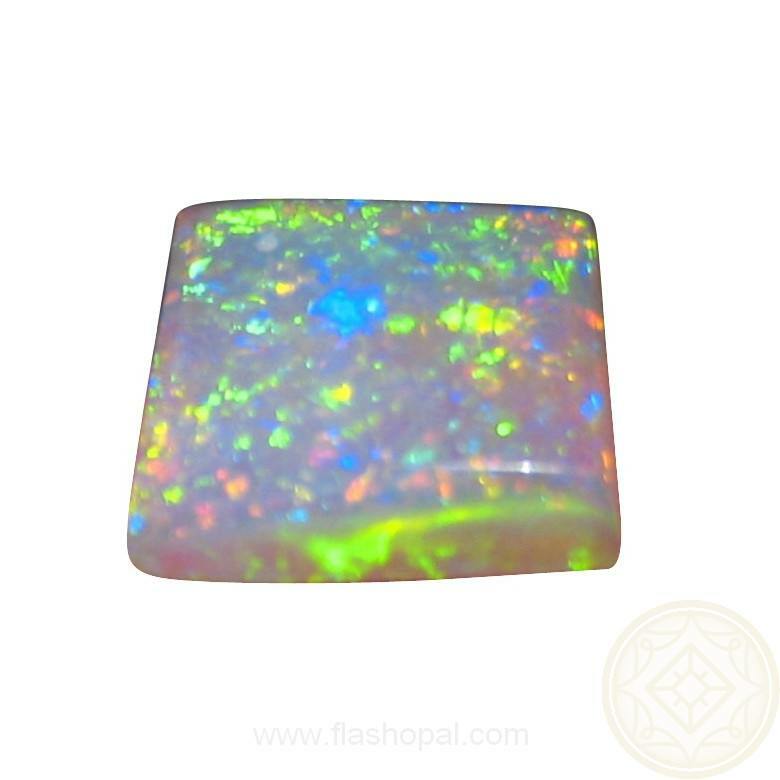 A top quality Opal ready to set and ideally in a ring. 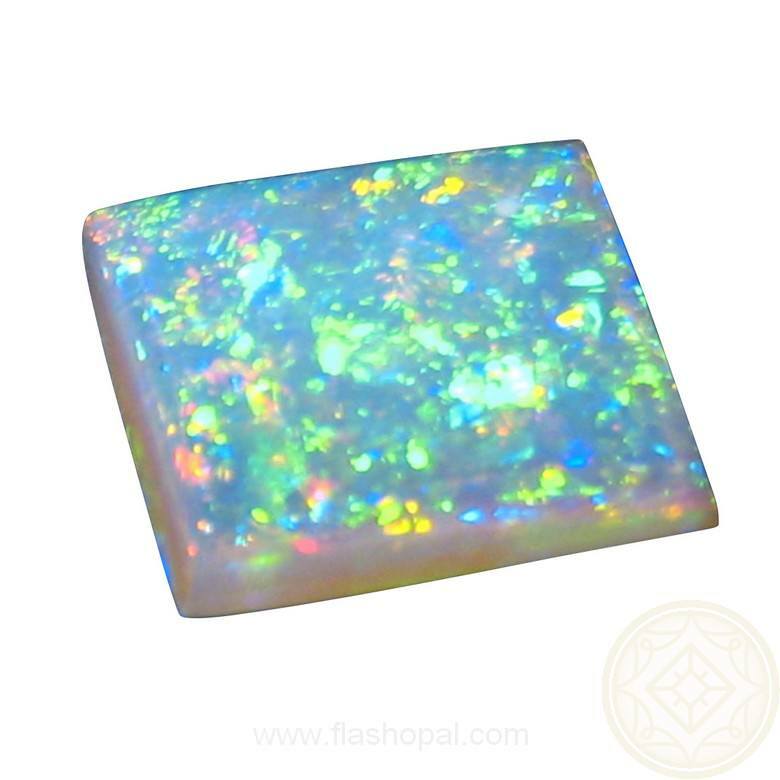 Why is this Crystal Opal so special? 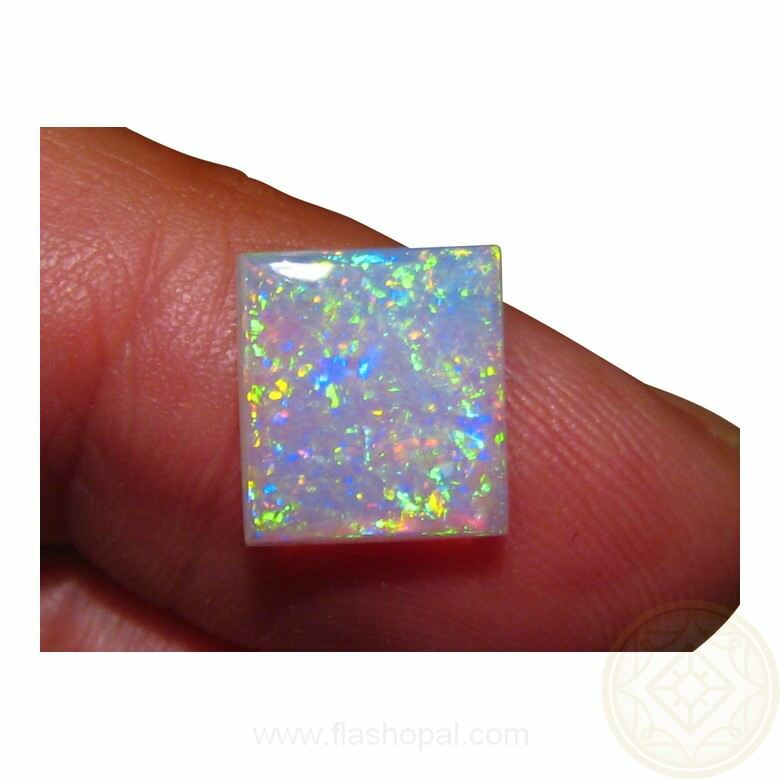 Square Opals are not often cut - especially a good size like this of 10 mm - due to Opals in their rough state rarely showing color across such a wide area. 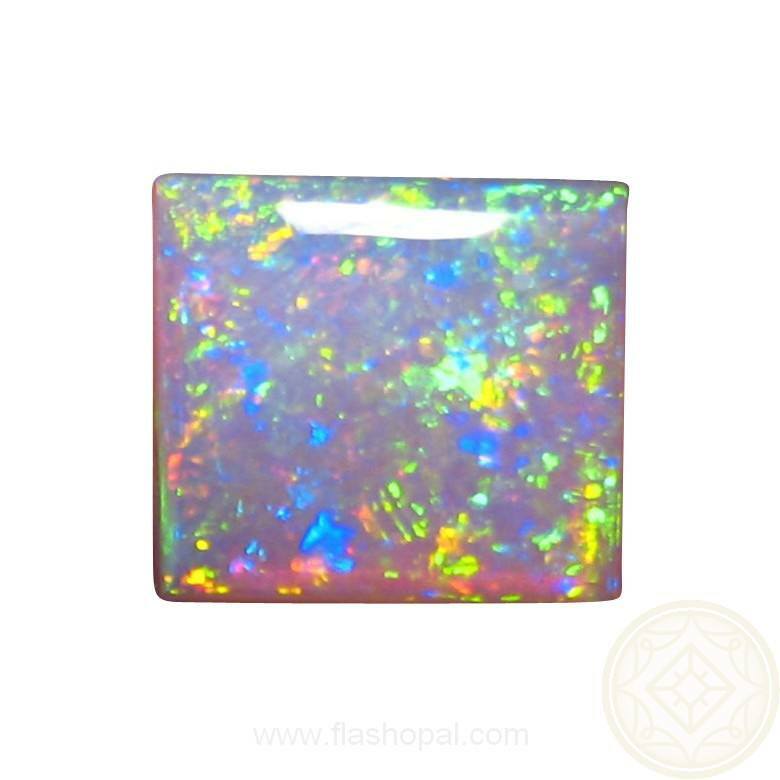 This 2.75 carat Coober Pedy Crystal Opal has an amazing mix of colors and they are extremely bright. 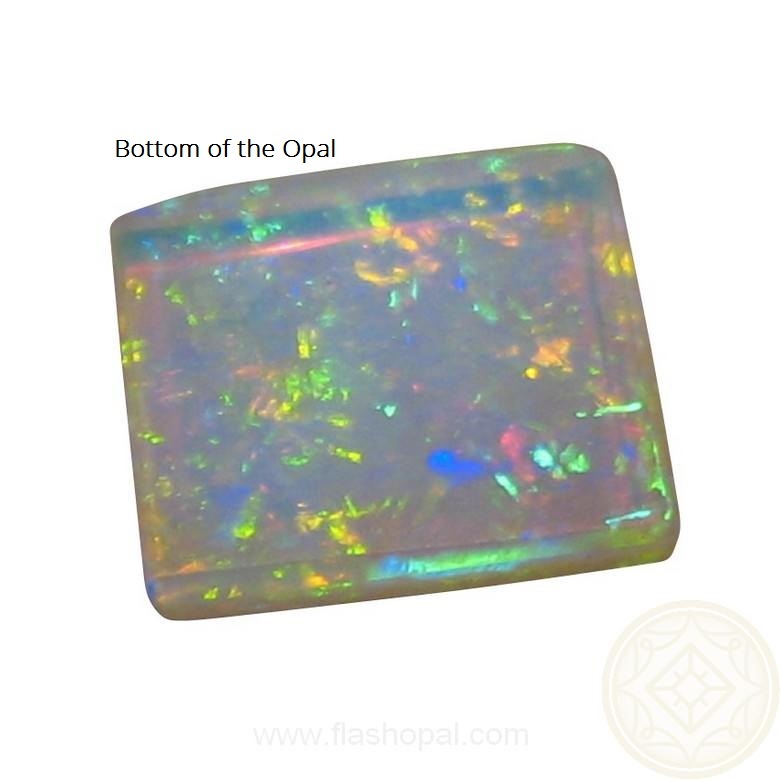 The first two photos show the Opal on a dark background which make the colors pop. It is not 100% square at 11 x 10 mm but this is hardly noticeable as you will find it difficult to take your eyes of the colors and play of color. 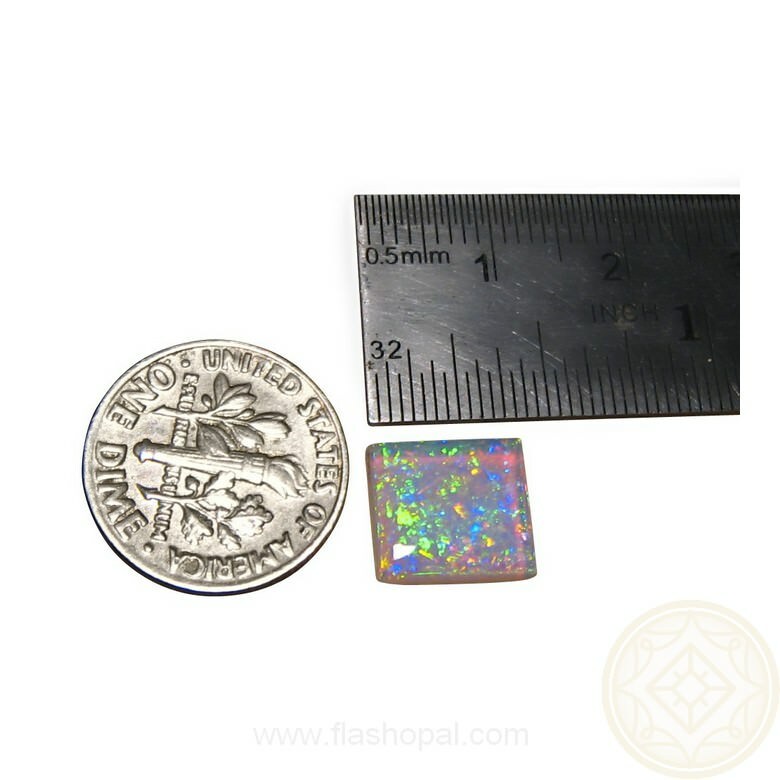 If an absolute square is what you need, trimming the Opal may be an option. It has been finished with a high polish and is ready to set in a Custom Made pendant or ring and would be amazing with or without added gemstones. Please make your inquiry through this product if you would like this exceptional stone set into a very special piece. It is part of a retired miners stock so please allow at least 2 days before shipping.